Last week was a busy one and I haven't had time to update until now, but here are a few of the things that are happening around the internet town. My cards are in! They look beautiful (I must say) and they are going really fast! I've already sold almost half of them. If you are looking to buy, I would suggest doing that soon. Canada Post can take their sweet time and I want to make sure everyone gets them in time to be able to send them out again before Christmas! Here's the link- choose the amount you would like in the drop down menu. If you are looking for another great site to buy the cards from, Paper Crush has added my cards to her shop on Great.ly. 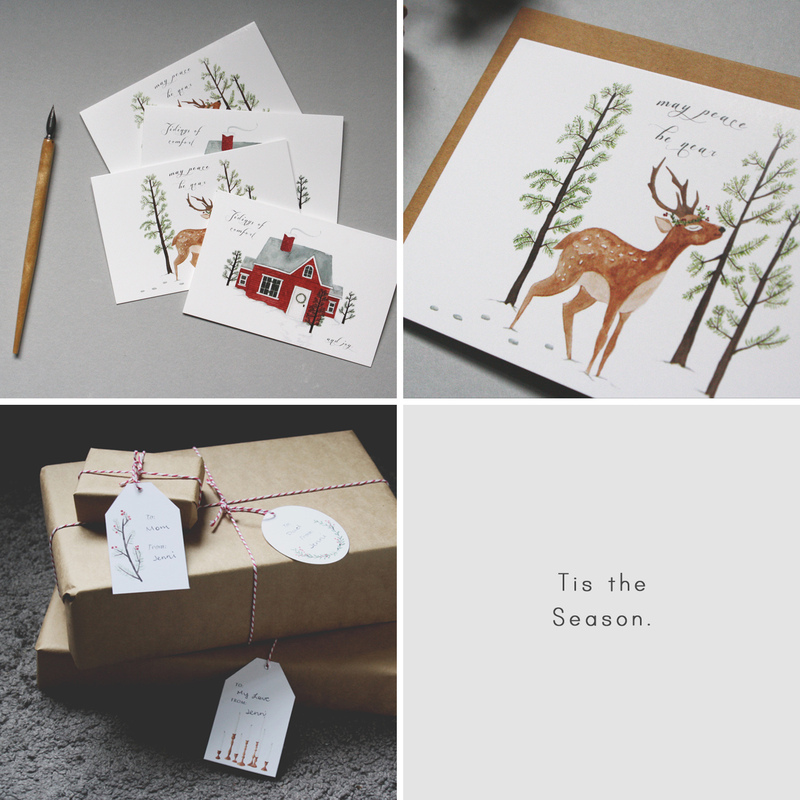 She's added all kinds of great Christmas goodies and has included my deer card and cottage card. Another Etsy shop item I added this week was a download for printable gift tags. These make the perfect adornment to any holiday present and feature branches, leaves, berries and candles. All elements of a cozy Christmas! And for only $3.50, they are as inexpensive as your daily latte :) What a bargain!